Open almost any contemporary literary magazine, turn to the poetry section, and you are likely to find a great many free-verse lyrics that oscillate between simple, declarative statements of events or feelings and enigmatic fragments that may or may not contain a chic allusion to Japanese poets or Walter Benjamin. There may be one or two references to war or to the oppression of women or minorities, but it’s more likely that these things are dealt with indirectly in some obscured image of physical or emotional suffering. The only thing that is made clear is that the victims are pure and the violence unjust. Such poetry may possess a therapeutic value for the very few people who read it, comforting them with the thought that someone knows about the sort of suffering they have experienced. But it’s more likely that it makes most readers feel sensitive and morally good. Not only do they read and understand such “difficult” work, they sympathize with the ambiguous victim and participate in the poem’s subversion of hierarchy, order, and morality—all of which, according to the current thinking in vogue, are but tools in the hands of the two great evils of our day: privilege and patriarchy. Perhaps readers wonder how many conservatives read such work, much less catch its allusions or grasp its politics of form—“if they can even read,” they might say to themselves, as a small smile turns the corners of their mouths. They would no doubt smile and wink knowingly if they were to pick up James Matthew Wilson’s The Fortunes of Poetry in an Age of Unmaking, a collection of essays on the nature and function of poetry. Wilson argues that much contemporary poetry is not an attack on patriarchy but an attack on form itself and, therefore, life. It does not lead us to a greater understanding of the “intellectual soul”—that is to say, a coherent, unified entity—but rather offers a false promise of “the body’s absolute liberation from the conditions of its existence—beginning with those ties that do, but should not, bind: body, form, truth, goodness, self-diffusiveness, fertility, and life.” Contemporary poetry is a form of “unbeing” or “unmaking” that is not unrelated to other attacks on life in our culture. In a short survey of contemporary poetic devices, Wilson argues convincingly that the goal of cacophony, clashing images, and fragmentation in contemporary poetry, among other things, is to undermine supposedly bourgeois conventions in the name of aesthetic, sexual, or moral freedom. What such poetry actually does, however, is merely to replace one set of conventions with another, kicking the unattainable can of freedom further down the road. 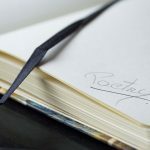 Purists form new schools of anti-poetry to attack previous ones for failing to be radical enough—or, more often, for being co-opted by the market—only to be co-opted themselves. Would Charles Bernstein have received an endowed professorship at Penn if he had not played his “correction” of the New York School’s anti-poetry with as much talent? Probably not. Yet such poems are published in hundreds of small literary magazines in order to signal that the poet has learned the conventions and can teach them to others in an MFA program. The poem is not meant to be read or to be performed. It exists merely to be “seen.” “It is meant to indicate,” Wilson writes, “that so-and-so has been published and this validates the continuation of publishing just this sort of thing.” What is that but an exchange relationship? The fragments of which it is composed are not identical but they are certainly fungible; in large doses, the poem seems like an excited redundancy. The real subject of the poem, then, might merely be that persistent lyric “I” recording the experience of a broken history and his failed attempt to put its fragments into order. [Free verse did not] open poetry to a greater variety of expression, though it probably made it more various of expression than late-Victorian (Georgian) poetic diction and subject-matter conventions seemed to allow. . . . [And since] free verse robbed poetry of its unobtrusive but commanding requisite of meter, its practitioners were forced to reach ever farther into the darkness for some element of speech that might be distinctively poetic. They hit upon fragments. While not denying a poem’s “composite unity,” Wilson takes exception to the idea that original content requires original form in order to be accurately expressed. Versification, he writes, “is an extension of grammar.” While he does not state this explicitly, if a particular “shade of emotion,” to borrow Pound’s phrase, cannot be expressed in meter, how do we know it can be expressed in a shared vocabulary and syntax in an unmetered line of poetry? If original meter must be invented to accurately express a particular emotion, why doesn’t an original language and syntax also have to be invented? Yet, he spends too little space, in my view, explaining the ordering of pacing found in many great free-verse poems. Not all free verse muddles. Great poets can use an irregular meter to order and deepen a poem in the way that formalists use regular meter to do so, and a more careful examination of how this is done, of the formal characteristics of successful free verse, would have been welcome. Still, Wilson’s clear-sighted critique of the failures of contemporary poetry, and his concluding definition of what poetry is and what it should do, will be music to the ears of most aficionados of verse. Micah Mattix is chair of English at Regent University and a contributing editor at The Weekly Standard.